Fizz, Boom, Read! That’s the theme for The Colony Public Library’s 2014 summer reading programs. The start date for logging your books is just a few days away (June 7) but registration is open all summer long. This means there’s still plenty of time to take advantage of all the library has to offer this summer and beyond. While it may seem easy to dismiss the value of a brick-and-mortar library in today’s digital information age, nothing could be further from the truth. Libraries across the country, including here in The Colony, are maintaining relevance in the community by staying up to speed on technology trends to provide 24-hour resources to a wide audience of customers. In fact, this year’s summer reading theme is geared toward science and technology. Youth Services Librarian Amanda Hua and her assistant, Tina Martinez, have teamed up with the UT Dallas Contact Science program to provide STEM (Science, Technology, Engineering, and Mathematics)-related activities this summer. UTD’s Contact Science will be presenting STEM-enriched robotics programs at 2 p.m. June 19 and 26. These programs will cover basic robotics with fun projects for children in third through fifth grade. Contact Science has also provided supplies for a Snap Circuits Pro tutorial at 2 p.m. June 21, which teaches the fundamentals of circuitry and electricity. The library’s summer installment of LEGOmania, set for 2 p.m. June 14, is STEM-geared, and children will have the chance to conduct science experiments in a K-2 Laboratory at 2 p.m. June 20. Summer Reading Club participants will be entertained by Dr. Flake-N-Stein’s Magic Laboratory on June 11; magician Gerald Edmundson on June 18; and Dazzling Dave’s science fun on June 25. Hua said registration for the programs has been going well. Youth services outreach includes promoting programs year-round and signing up new library card holders at school assemblies, open houses, PTA events and other activities at the elementary schools. 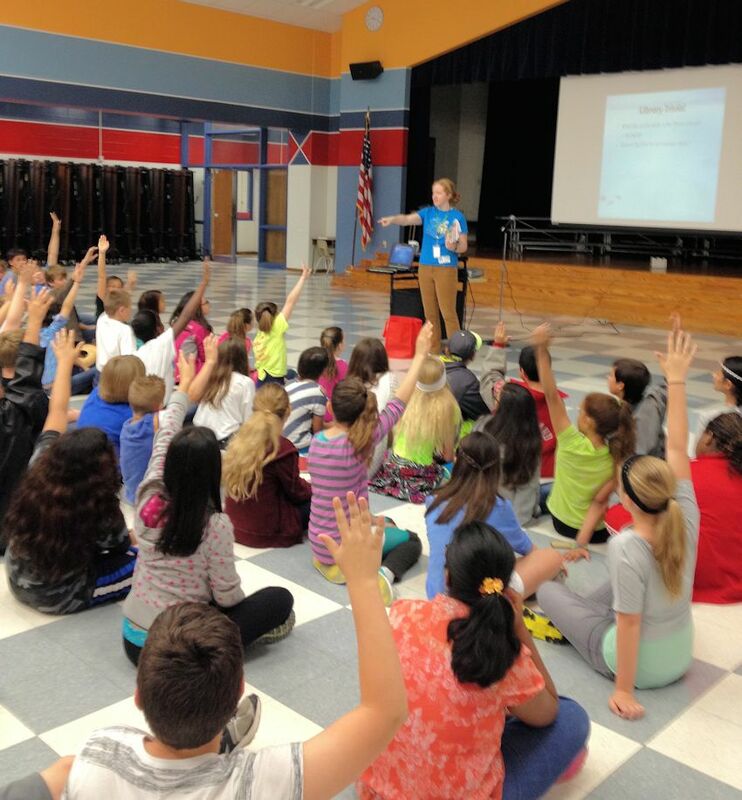 Youth Services Librarian Amanda Hua speaks to fifth-graders at a local elementary school. Promoting the library’s services is a little bit harder with older kids in middle and high school. It helps to stay apprised of cultural trends, Hua said, adding that she’s lucky to share some of their interests. But she spends time researching blogs and other media teenagers like. While there are many programs attractive to “tweens,” teen involvement in the library largely involves the Anime Club, which manages its own meetings and gaming events, and the Teen Advisory Panel. The panel typically includes members who are interested in volunteering at events for younger kids and other opportunities for community service that enables their higher education goals, Hua said. In addition to overseeing the summer reading programs, a typical day for Hua involves maintaining her contacts at the schools, staff meetings, and processing new children’s books in the library’s stock. “It sounds boring when I say it out loud,” she chuckled. Just like the other staff in her department, however, those day-to-day operations and sense of teamwork among the staff have enabled Hua to develop a mental catalogue of the library’s books and resources. At times she works on the reference desk, answering questions for patrons of all ages and helping students with research, or anything else needed. 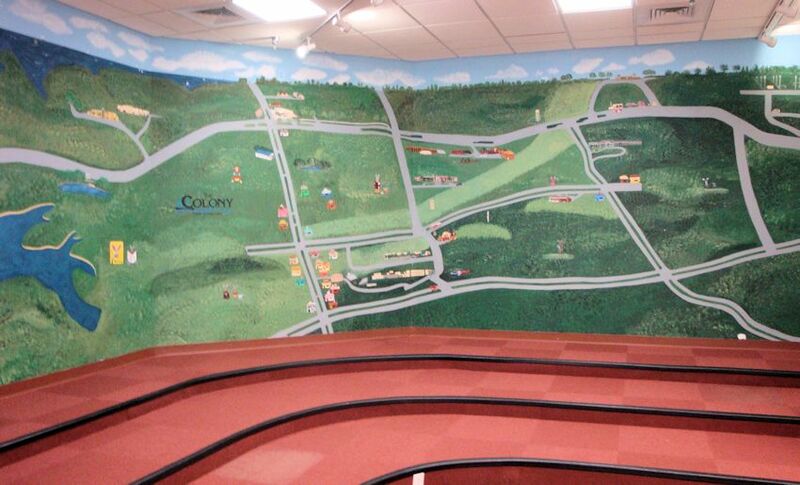 A painted mural of the city adorns the wall of the children’s story time corner at The Colony Public Library. But it’s seeing the kids taking part in the story times and summer programs that provides the biggest emotional payoff. It’s that very development that makes the foundation of a good library, where encouraging early literacy in the community pays off for everyone. Sveinsson said the library’s efforts go well beyond the walls of the building itself. Getting parents involved is a key component of the process, Hua said. In fact, the biggest boost to early literacy learning is if parents read to their children. Here in The Colony, she finds it easier compared to other libraries she’s worked. 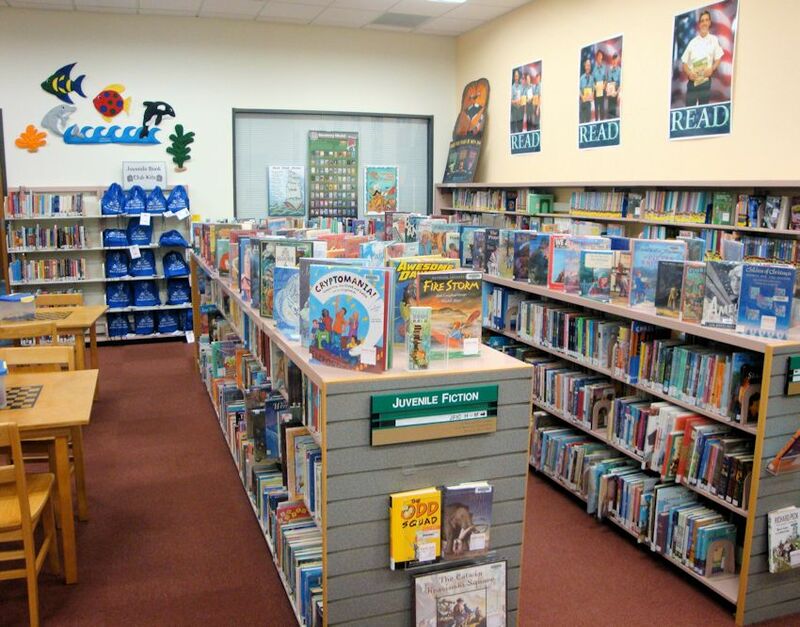 The juvenile books section is an inviting display of books and other activities. None of these programs and initiatives would be possible without a supportive city council and city administration, Sveinsson said. “There has been a noted recognition of staff’s efforts to provide a wide range of high quality, cost-effective services, our pursuit of alternative funding sources, and the creativity and passion for service of the library staff,” she said. As the saying goes, there’s something for everyone at The Colony Public Library.